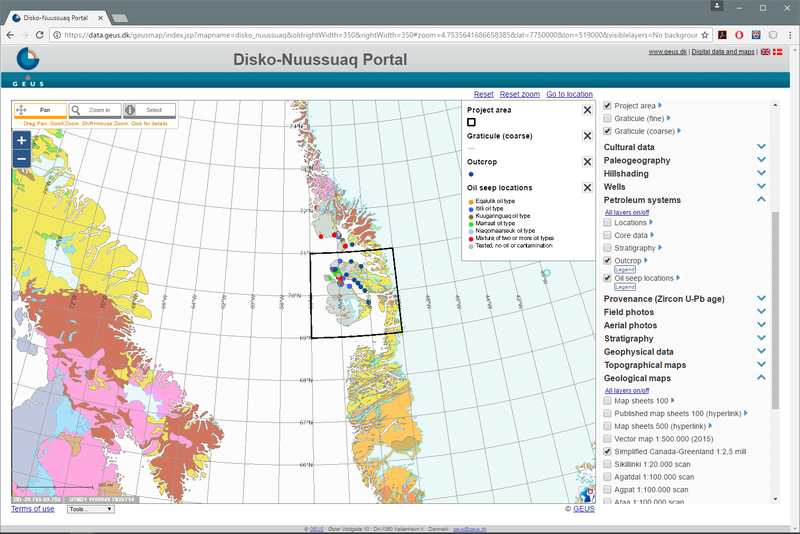 The WebGIS map gives an overview of some of the geodatabases that are available. You can inspect and search results as metadata and pdf-files. A full ArcGIS project with additional data and information is available for companies. For acquiring a company version, you need to request for a user profile and login. Only registered companies can get access to download of the full version. If large downloads are a problem, a copy of the project on a USB stick can be ordered by contacting MMR at geology.nanoq.gl. Every company must request a user profile to get access to the download section for the company version of the ArcGIS dataset. Please fill out the required fields. After submitting, the information will be validated and if approved, an email will be sent to the contact email with the login information. Have you had access before?